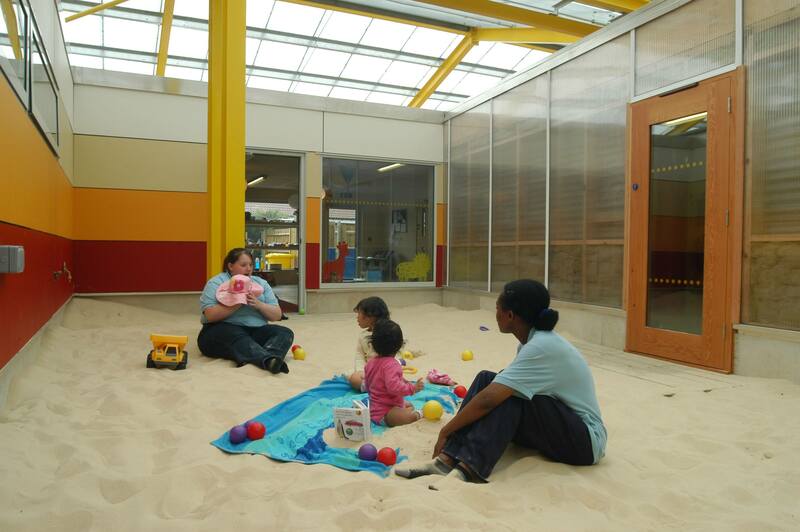 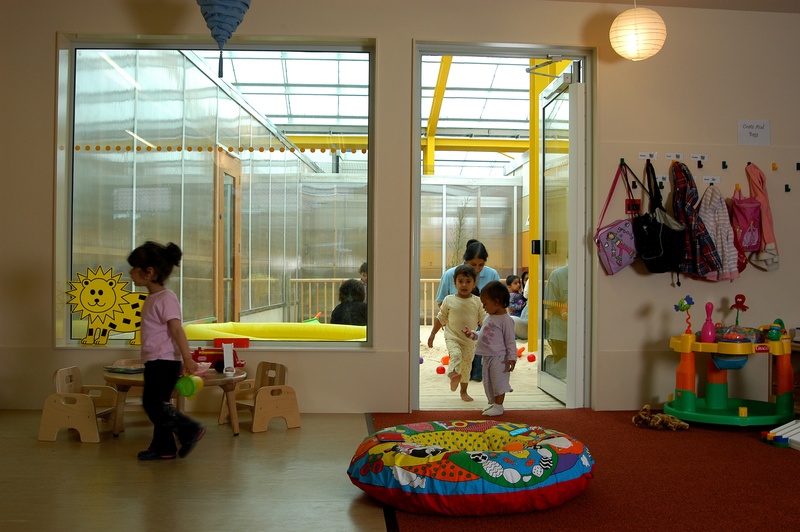 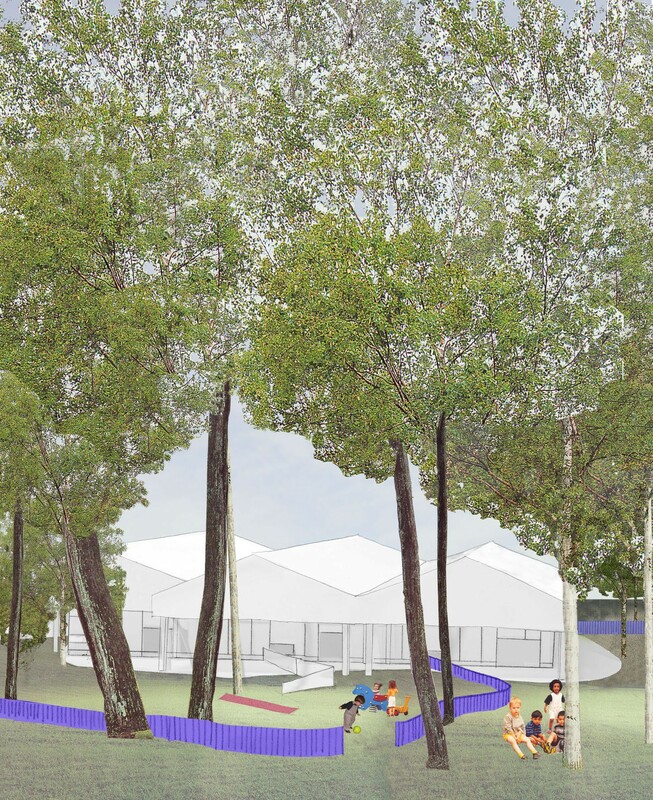 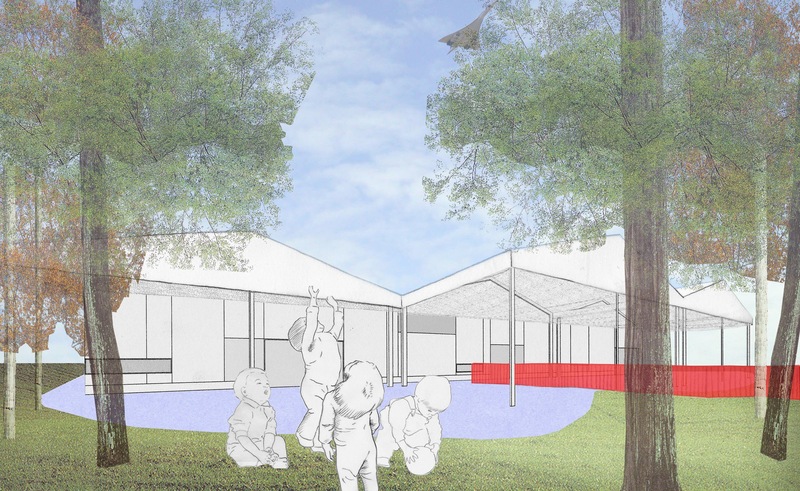 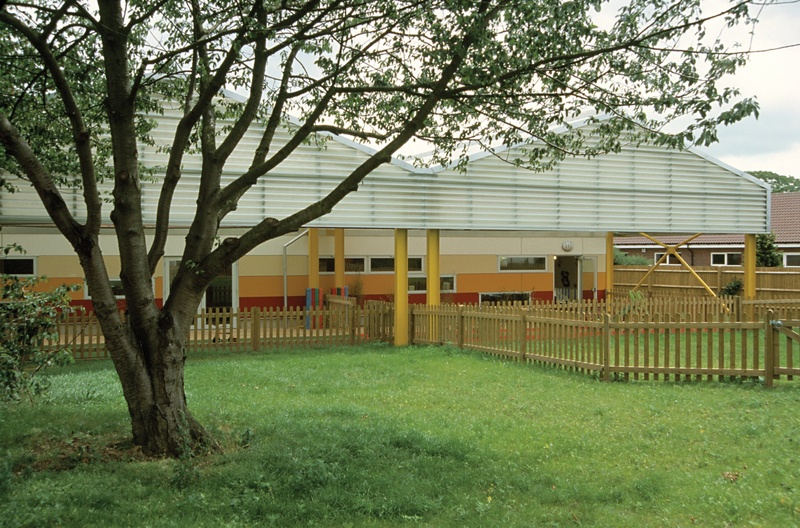 This Neighbourhood Nursery, for 98 children aged between 0 to 5 years old, was developed for the National Day Nurseries Association (NDNA) and needed to be an affordable, flexible, expandable and replicable building with pioneering child orientated spaces and landscape. 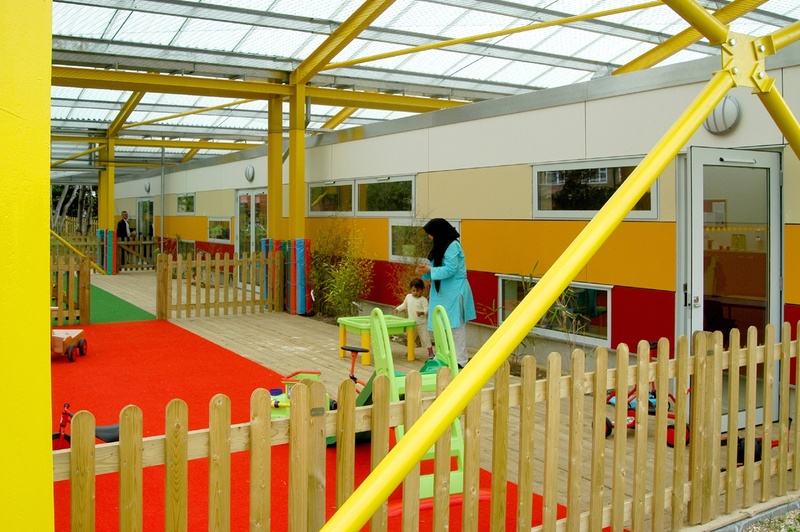 The oversized roof provides generous external play decks that open on to the interior children’s spaces providing sheltered play and effectively doubling the accommodation on rainy days. 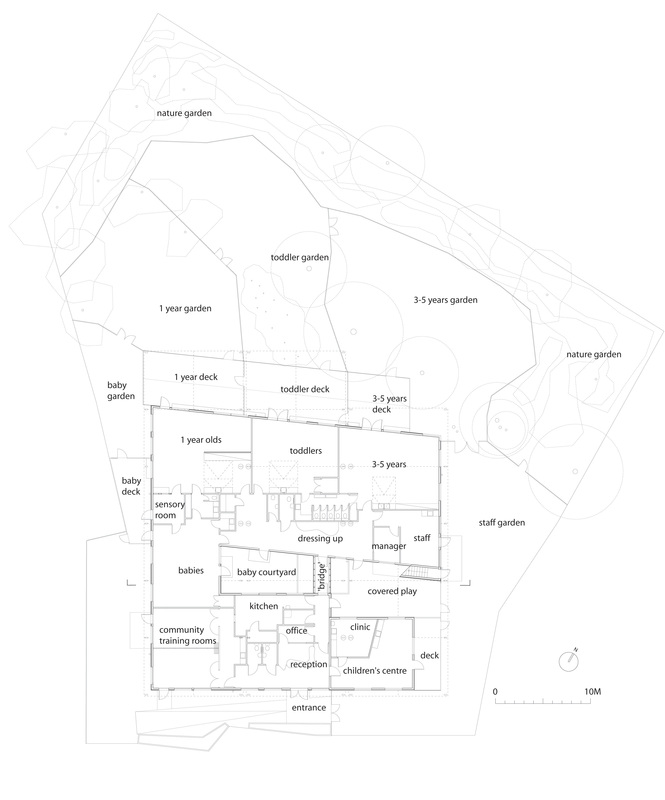 The landscape is also conceived of as safe rooms that provide varying activity areas. 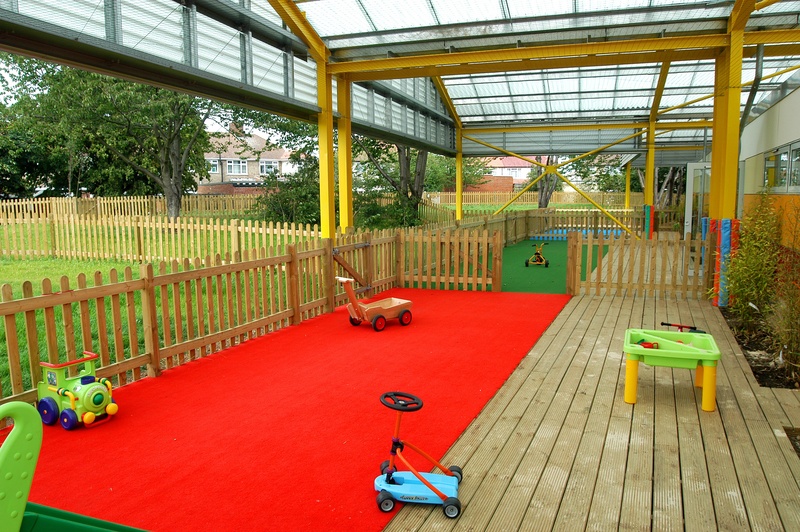 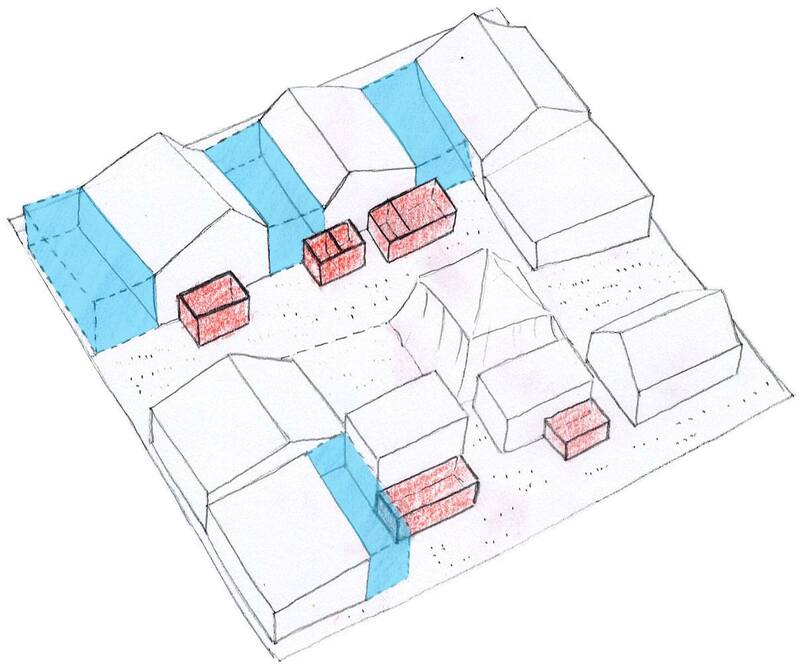 By creating a large, safe children’s territory the centre is easier to manage and more fun to be in.